When the Indian Premier League (IPL) auction swings around, it’s hard not to find it obscene. Sure, it generates talking points – who was a relative bargain, who went unsold and who was signed for enough to feed a village of Indian families for the next five decades. But the real winners of the IPL auction are those bankrolling this; the players and their accountants. Australian allrounder Glenn Maxwell picked up the nickname of Million Dollar Baby (a tag he’s been keen to shift ever since) after Mumbai Indians opened the chequebook for IPL6. Little wonder. It’s a touch depressing when people reference you for a supposed value off the field to any exploits on it. Glenn Maxwell was snapped up by Chennai Railways for a pack of pork scratchings and a fig roll. Aaron Finch joined Delhi Dashers for a pint of Werther’s Originals and a flatpack Ikea wardrobe. Don’t get me wrong – many of us might like to have a group of billionaires haggle over our services. These auctions refresh things and get fans talking while the owners of the franchises play a grotesque kind of top trumps. But what would it be like if the same player auction came about in club cricket? It’s a dark and uncompromising evening at a clubhouse somewhere in Yorkshire. (Not remotely like the picture above but we’ll skip that). Those dark brown plastic chairs many of us associate with traumatic school exams are lined up in rows and are already being filled up by club cricketers and curious observers. Out front, a couple of fold-up tables – usually reserved for hosting the cricket teas – have been shoved together to form a prestigious top-table for Nidderdale League T20 (NLT20) representatives. The world’s press is in attendance as a local journalist sups on a pint of Theakston and checks the batteries in his voice recorder. At the allotted time, the bar empties and the finest wicketkeepers, batsmen and bowlers from Pateley Bridge to Arthington shuffle into place, balancing beer precariously. There are 473 players up for auction from promising teens to wily old dogs who’ve been there and got the T-shirt. Rumours have been rife for days in the Harrogate Advertiser that Pannal’s John Strover will lead the bidding with one franchise said to be offering him pie and peas and free beer for a year. 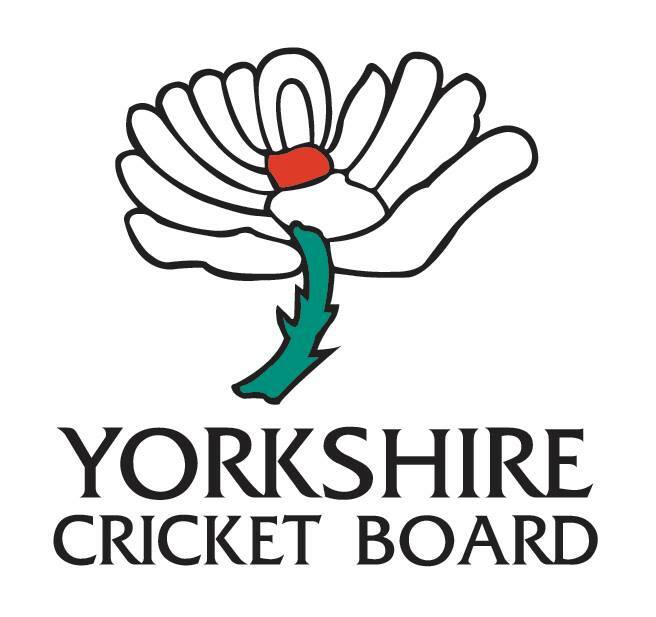 Winners of the Nidderdale League T20 (NLT20) will go through to the Yorkshire Champions League (YCL) and the early bidding is frantic. Powerful backers refuse to lose out and soon prices soar as they get utterly carried away. A guy who’s stuck his head round the clubhouse door in search of a mate finds himself snapped up for £2.5m. It comes as something of a shock as he’s never played cricket in his life. 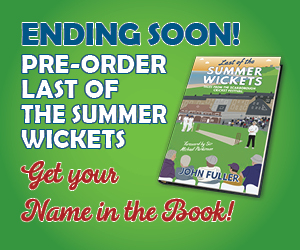 Apologies to the fine people of the Nidderdale League for that dubious piece of fiction but you get the gist. It needn’t be so far fetched, as it happens. How could it actually work? In an amateur setting, those players willing to change clubs get redistributed to clubs who bid for them, depending on their own resources. It could work any number of ways. A cricket league as the governing body and franchises set up by clubs that link up. Or, perhaps each cricket league having its own franchise (like a League Select XI) who play for the Nidderdale Nimrods in this cloud cuckoo concoction. In some parts of Yorkshire, at the upper end of the competitiveness scale, you can already earn good money playing so-called amateur cricket. In fact, the money sloshing around at grassroots level – even accounting for the rounds of Chinese whispers – would amaze you but that’s a future article of its own already in motion. 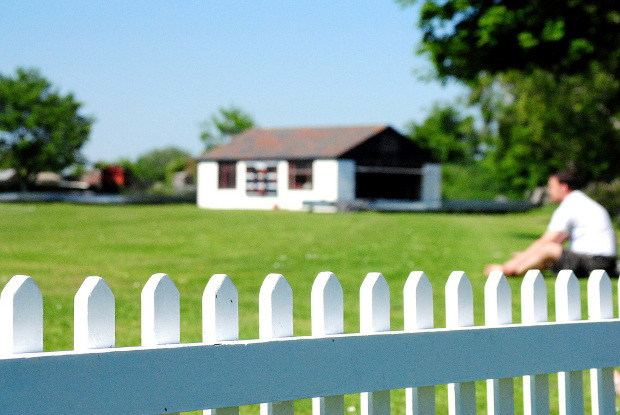 The reality is club cricket is still vibrant – in Yorkshire certainly – and the T20 franchise model ends up being just a multiplied conundrum of county cricket where there are too many teams. There was a club team over in East Yorkshire I saw on Twitter who had conjured up an IPL shirt and renamed themselves Hull Buccaneers or some such. The shirt was plastered with local sponsors and was absolutely ingenious, whether genuine or not, I wish I’d taken a screenshot. A few questions then a bit of trivia to end this meandering digital daydreaming. 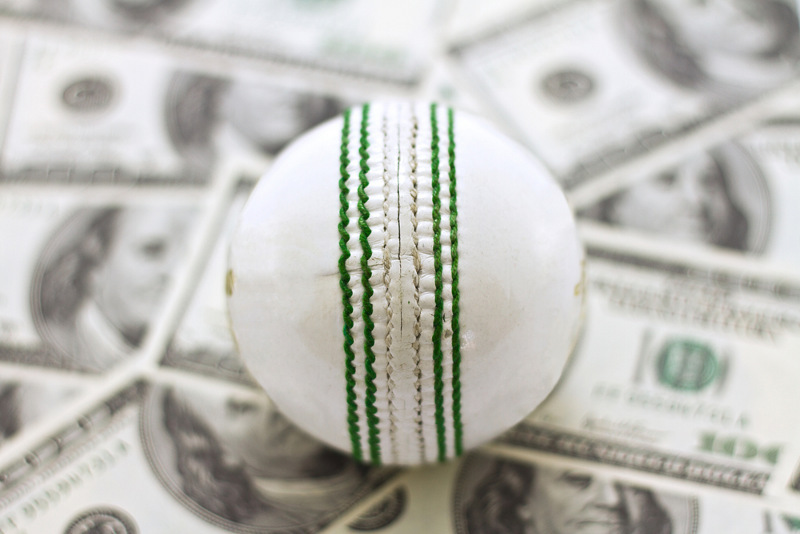 If you’re a cricketer – what would your price be in an IPL-style auction? 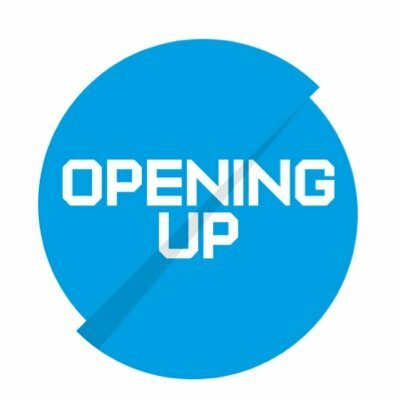 If you’re a cricket fan, what would you like to see happen in county or club cricket with T20 and franchises? As for me, I was somewhat disappointed to check the email and see no IPL bids had come in. Though, the wind whipping through Leeds station is quicker than I ever managed as a left-arm fast bowler, even when steaming in off 632 paces. I have probably gone for more runs down the years than the combined value of all of the squads competing in this year’s IPL. Meanwhile, early observations from the opening games of the 2015 ICC World Cup point towards certain bowlers getting it horribly wrong. 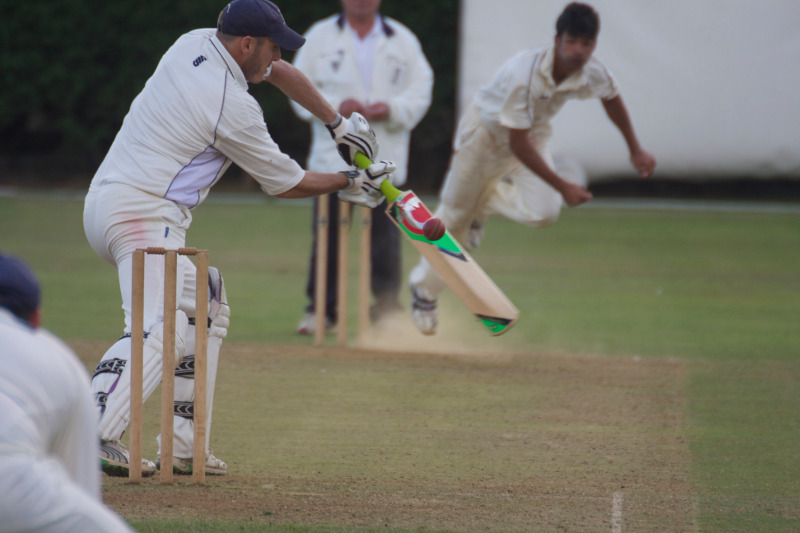 Could the World Cup players learn from amateur cricketers? Scores of 300 plus have been racked up with late batting onslaughts in part due to immaculate batting tracks but also bowlers losing control, line, length and no small measure of composure. There’s a case for innovation; mixing it up and second-guessing the batsman especially when someone like David Miller or AB de Villiers is capable of literally hitting it anywhere. But the number of attempted yorkers that have ended as low, rank full tosses so far in the tournament has been heinous. How many club cricketers are there around the UK that can land the ball on a spot the size of a flat cap? Certainly, I have played with metronomic masters across counties who seemed to have an invisible string attached to the cricket ball; controlling it at will like a yo-yo. There is a case to say that occasionally, a well-directed 67mph yorker might even trump a 86mph ball that’s short, wide or fired in at waist height. Comparing amateur cricket to the leadings lights at a World Cup might feel a stretch. But IPL contracts or not, there’s more than a few lessons amateur cricket could teach the professionals.